Is there any such thing as easy camping? Now, I want an easy camping! Period! Lucky for me, my aged friends were pretty much having the same idea, we all wanted to go out and camped, but we don’t wanna burst our asses off for a real one. So, off we went for an easy camping on one Saturday. 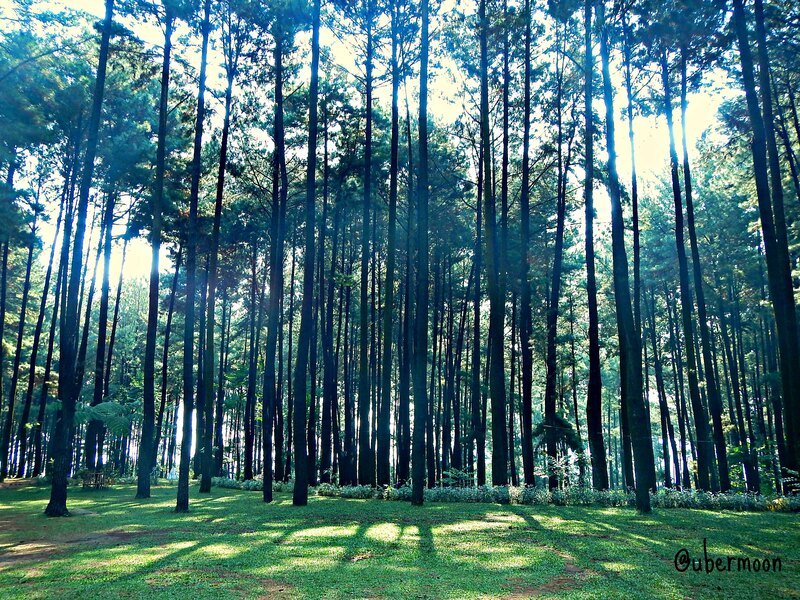 The chosen place is Taman Wisata Gunung Pancar in Bogor, West Java. I heard about Taman Wisata Gunung Pancar several times before I finally went there; but when I heard of it the first time, I thought it takes 3 hours or more to reach; turns out, Taman Wisata Gunung Pancar is only as close as 1 hour away from Jakarta! How awesome is that! Haha. To get to Taman Wisata Gunung Pancar, take the Jagorawi Toll and exit at Sentul. From there, find your way towards Babakan Madang and you’ll find Taman Wisata Gunung Pancar gate right away. To get the easy camping package, call the management of Gunung Pancar prior to your stay and tell them your itinerary: when are you staying, how many person, what kind of tent do you wish to have or package you want to opt. 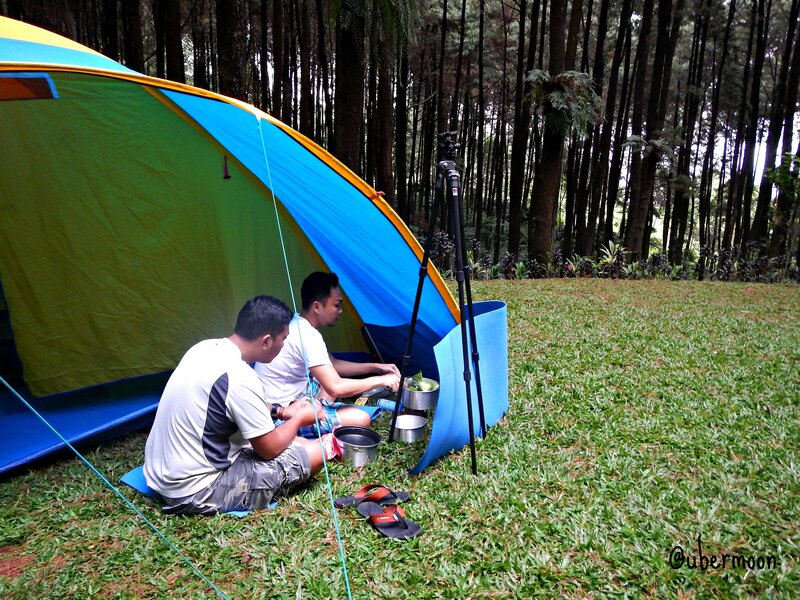 Taman Wisata Gunung Pancar has several packages to offer, from just land-rental (if you want to bring your own tent) to easy camping (price quoted includes land-rental and tent) to glam camping (land-rental, tent with mattress inside). We took the easy camping package. When we arrived at Taman Wisata Gunung Pancar, we paid the entrance fee (not included in the package), called our contact person and when we met him, we directly picked our space in the big camping ground. Then, they built the tent for us. Hahaha HURRAY!! The tent was so beautiful, I’m impressed! Plus point, it’s big even for the five us! And it’s tall so it’s not hot in the day! And it’s clean! And the land base is even! And it’s not smelly! And it’s not leaked! And it’s colorful! YEAH!! This princess is in love with the tent happy! 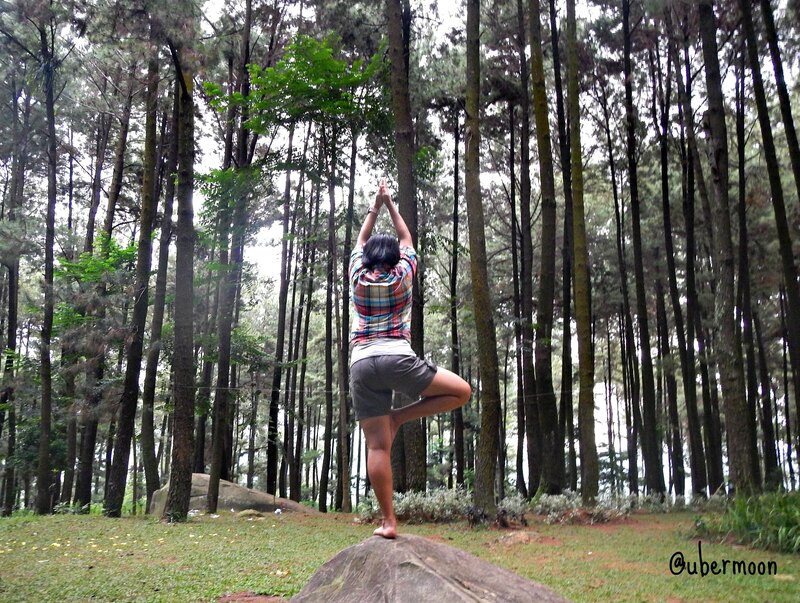 Taman Wisata Gunung Pancar is a pretty well organized tourism park. In each camping ground, they provide one good building for clean toilets and also praying room. There are many power plugs provided, attached to some of the pine trees. They clean the camping ground everyday. And when they see our tent is quite far from the power plug, they put a cable extension and put it near our tent, covered with tarp, without us asking. Awesome service, aye! 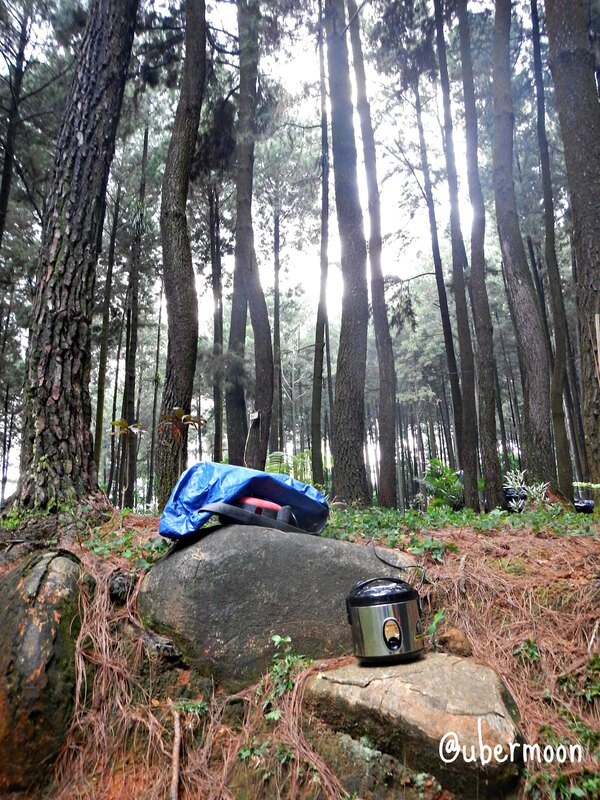 The camping ground at Taman Wisata Gunung Pancar is surrounded by pine forest. Though turned out there was no bird chirping as a wake up call, the wake up ambiance is still nice, full of fresh air! A great refreshment for my lungs. 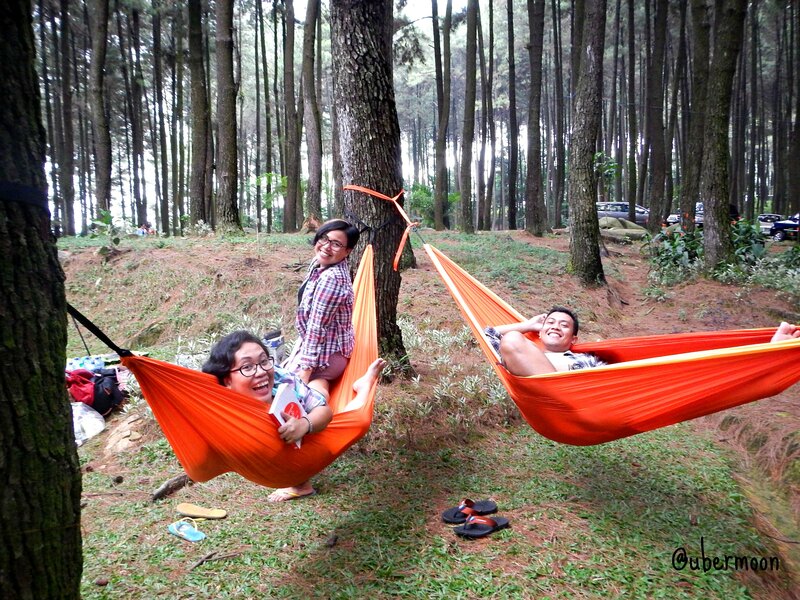 On another thing, in Taman Wisata Gunung Pancar, you can bring your beloved pet to have a camping together! We brought Hugo with us and he’s in love with the ground! Running, stepping on my foot, and playing here and there. I went for that easy camping on weekend and we actually planned to go to the hot springs within the vicinity but finally cancelled it cus we were more attracted to taking some pictures in the pine forest. LOL. Next time, we’ll surely get to the hot springs! Hihihi. 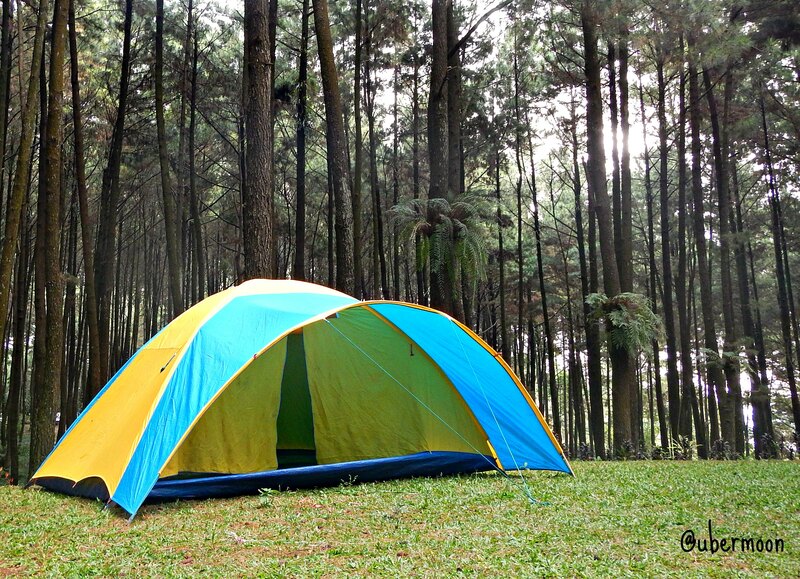 It was a nice camping at Taman Wisata Gunung Pancar. A great weekend getaway and surely, a really easy camping! Once again, this blessed princess is happy! Hihihuw!! Keren dan pasti seru. boleh minta no kontak gunung pancar? Tarif paket yg easy camping brapa ya? Anjingnya lucuuuu. Jenis apa ya? 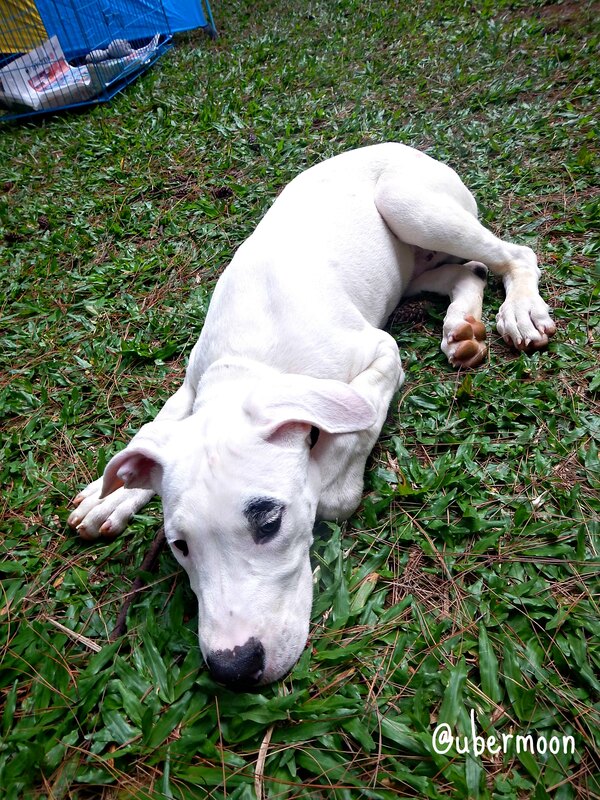 campuran pitt bull bukan?